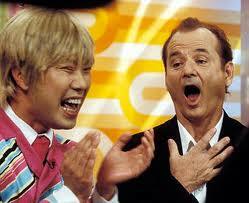 There have been many discussions and lots of speculation about the possibility of a universal language. 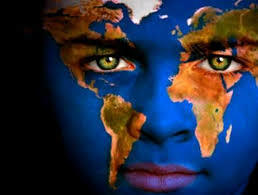 Globalization has broadened our horizons while at the same time making the world seem a lot smaller. With the need for improved and increased communication between countries, the trend for learning languages has grown considerably. So much so, that the subject of creating a universal language has become a hot topic. But what exactly would this mean? Well for a start, it would simplify communications between countries. There would be no more language barriers and therefore nothing to stop progress being made in any situation. A universal language would eliminate any translation errors, saving a lot of time, money and embarrassment. 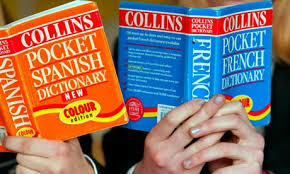 But with each of these languages comes a unique culture, and discontinuing the use of these in favour of a new uniform language will destroy those cultures and what makes each country special and diverse in its own right. We´ll no longer have such a sense of national pride, and a feeling of conformity for more than just our language may arise. It’s still too early to see which side of the debate will win with this question, but the pros and cons for each are considerable ones. In the meantime, we are free to study and speak the languages we love for our own reasons and, in the immediate future at least, the boom in language learning will continue to increase. 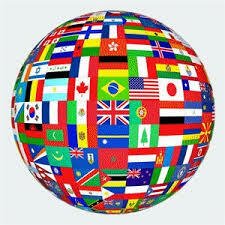 What are your views on speaking a universal language, and what pros and cons can you think of for having one? Have you ever sat in a restaurant while you’re on holiday abroad and looked hopefully around for a copy of the menu in English? Slight panic sets in when you realize there isn’t one and you haven’t the faintest idea what any of the dishes are on the menu. Well panic no more, as some new technology is on its way to help! 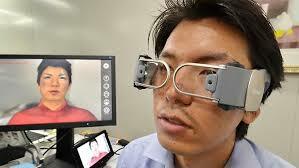 The Japanese, known for their love of gadgets, have invented some spy-like translation glasses. Working in real time, the muddled letters of the foreign menu in front of you will suddenly be translated clearly into your own language. Using an interactive ring that transmits hand movements back to the glasses, you can also manipulate virtual images projected on a flat surface by way of a simulated touchscreen and ‘touch’ tags that only you can see. If that’s not enough to convince you to sign up at MI6, they even include a facial recognition feature. Yes, really. So if you want to know someone’s name, what they do for a living and a few other personal details, just don a pair of these spy-like specs to get your insider information. Let’s get back to that menu though, before you get dizzy from hunger. These Intelligent Glasses will translate the text on the page right before your very eyes, as you read it. With the prototype being able to translate Japanese, Chinese, Korean and English languages, the researchers are looking to launch this translation technology in 2020. After completing their list of modifications, that should leave them with plenty of time to make the glasses look as cool as they sound! Do you think this type of translation technology will take off and what other scenarios would these glasses be useful for other than being able to help you with ordering your next meal? You are currently browsing the Language Museum weblog archives for November, 2013.